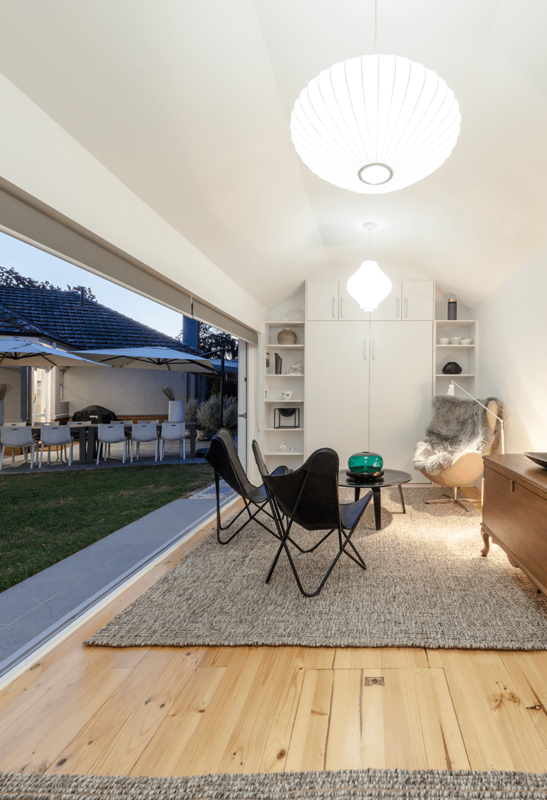 The design centred around improving the functional relationships of the existing rooms, renovating the heritage listed original building and construction of a new contemporary master bedroom wing to connect to the original outbuilding studio garage. 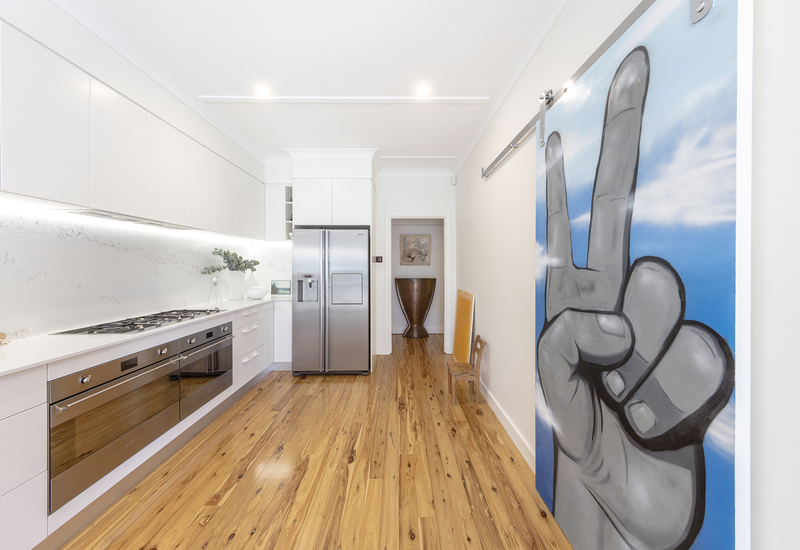 The Project was focused on improving the functional relationships of the existing rooms, renovating the heritage listed original building and construction of a new contemporary master bedroom wing to connect to the original outbuilding studio garage. 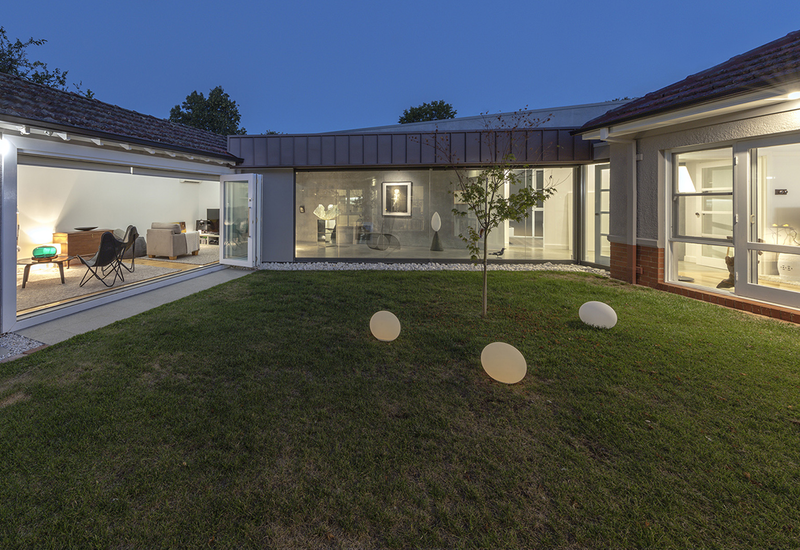 We provided a contemporary extension in timeless materials that complimented the original architecture of the existing building through the use of concrete, frames glass and zinc cladding to provide a bridge between the two original elements of the house. 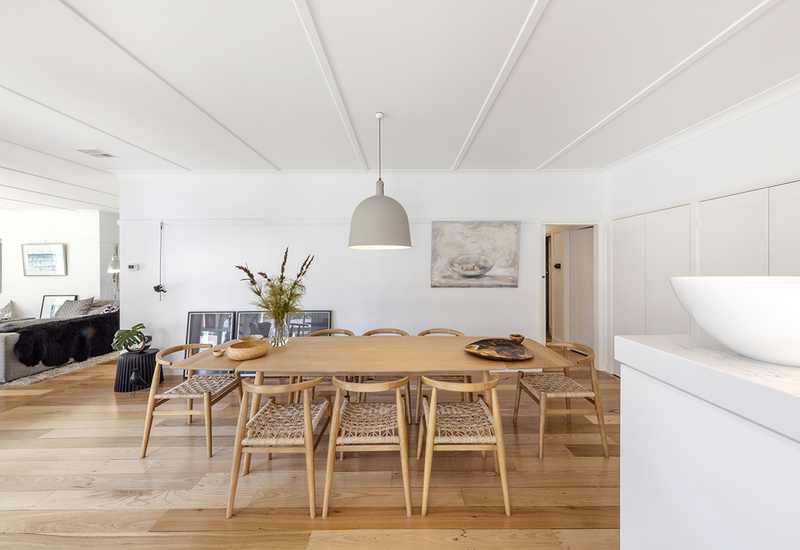 The efficient design provides a larger family home for clients large family while enabling the reinstatement of the original living and dining rooms of the existing house. 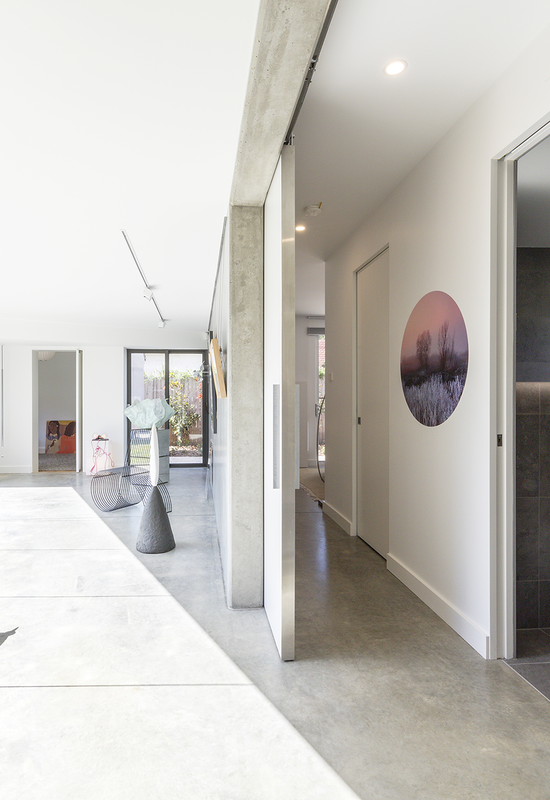 The Contemporary bedroom and gallery extension provides a feature space for the client’s art collection and a parent’s retreat away from the main dwelling. A combination of classic and visually striking materials add complexity to the design that can be enjoyed from all parts of the house. The construction of a thermally broken continuous pre-cast concrete wall was a complex design element that involved the use of fibreglass reinforcing bars and rigid foam insulation at the wall and ceiling junctions between inside and out. The concrete floor also has under slab insulation and slab edge insulation. 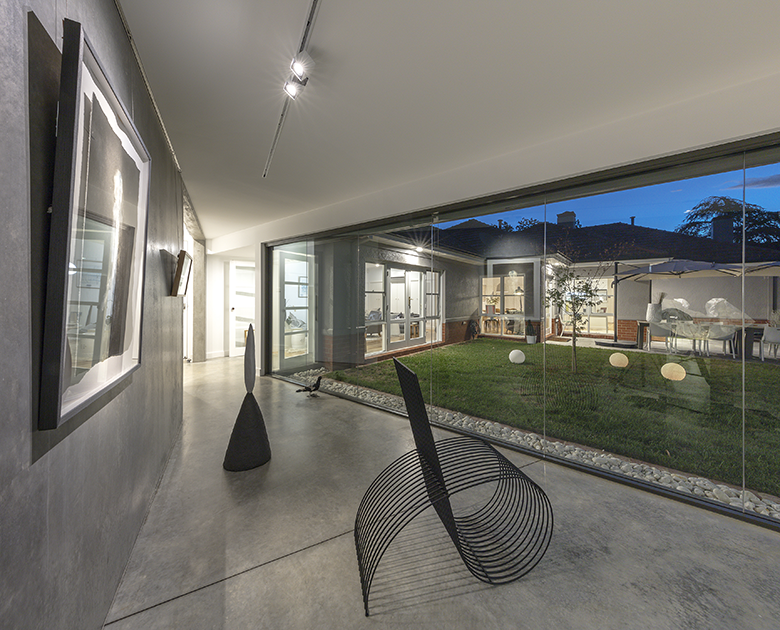 The gallery windows allow the north-western winter sun to warm the thermal mass of the burnished slab and precast wall, while in summer, recessed external blinds shield the north-western solar heat gain. Roof insulation within the original house was also completely replaced with R5 batts and double glazing used throughout all the new habitable rooms. 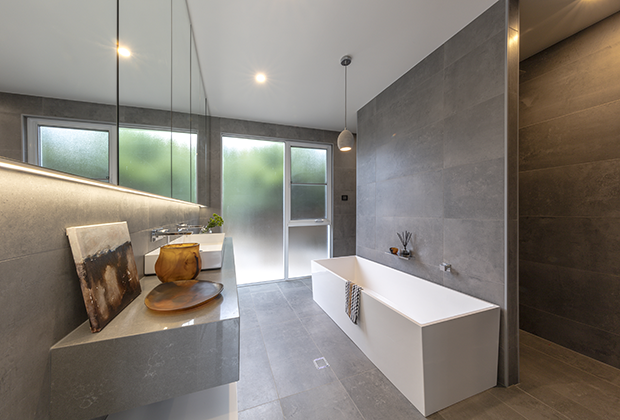 This project was judged the winner of the 2016 HIA ACT/Southern NSW Region Renovation / Addition Project $500,001 to $650,000. This project was awarded the Judge's Commendation of the 2016 MBA ACT & CBUS Awards, Best Remodelling Project more than $450,000.